New Zealand Outlaws! Get Your NZO Shirt Benefitting Little Feet Today! You want to support New Zealand as they do battle with US Soccer’s arch nemesis, Mexico, but you don’t have any New Zealand merch to wear game day? Here’s your chance to rep New Zealand All Whites AND support a great charity! 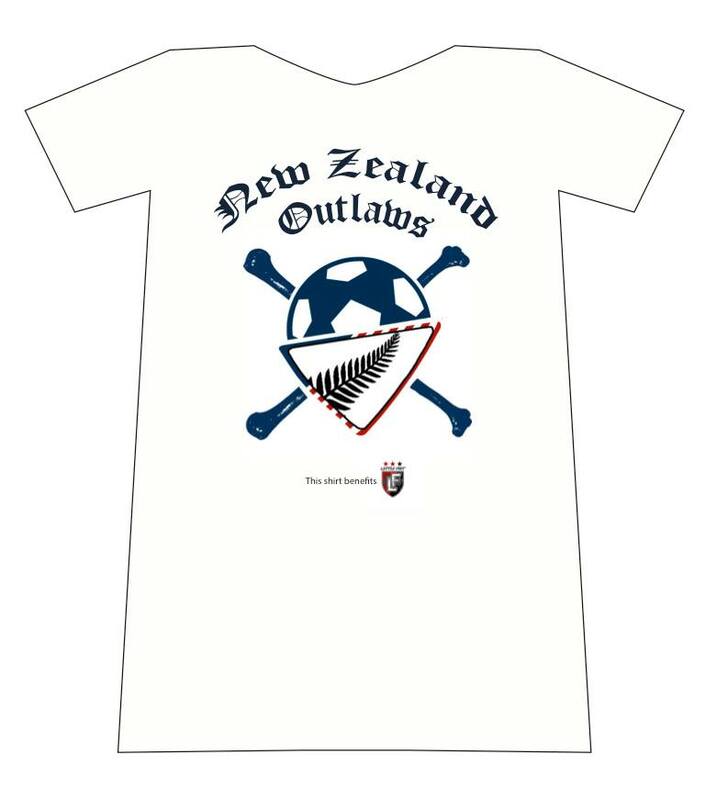 $20 for the shirt, $5 to ship up to four shirts in the USA (shipping to New Zealand, we’ll have to look up), and all the profits will be donated to Little Feet, a soccer charity that helps children in need get soccer fields and gear. Orders will be accepted through 10/27 so we can ship in time for the first game. Click this link to order yours!